Preserving food can not only reduce the amount of food we throw away, but can also add exciting flavours, textures, and health benefits to your meals. With the ‘grow your own’ glut approaching, and year round BOGOFs (buy one get one free) in the stores, take a moment to share ideas about how you might extend the life of your food. Feel free to bring along any useful resources you use, or things you’ve made for us to taste. 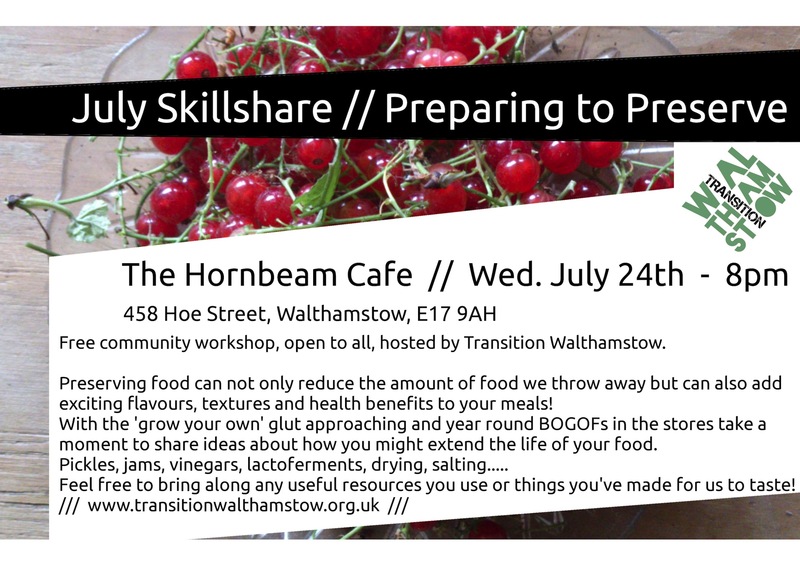 This event is a free community workshop, open to all. Doors open 7.30pm.